The province of Manitoba, like the other Canadian provinces has programs in place that offer tax credits and Benefits to its citizens who are disabled. These programs are in place to ease the burden of living with a disability so that the persons who qualify will be able to keep the same standard of living as the rest of the able bodied community. Who is Eligible for disability tax credit in Manitoba? 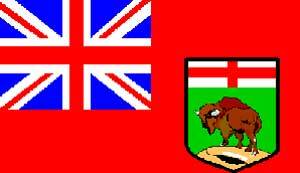 Live in the province of Manitoba. If you qualify, you are eligible to receive disability tax credits in the form of non-refundable tax credits that reduce federal and provincial income taxes up to the amount of $7,341. If you are eligible for the credit but cannot use all or part of if due to a lack of taxable income, then you can transfer the credit to a spouse, common-law partner or another supporting person. Children who are under 18 years of age, who are eligible for the disability tax credit, may also qualify for the Child Disability Benefit, which is an amount available under the Canada Child Tax Benefit. Applicants who work from their homes may also qualify for the Working Income Tax Benefit disability supplement. They have been providing voluntary care to a person with a disability for longer than 3 months. The care recipient is living in a private home. The care giver is the only person providing help to a recipient. Supervising or assisting with routine activities including transportation, shopping, laundry, or meal preparation. Supervising or assisting with personal care including feeding, bathing, dressing, hygiene, grooming, mobility, toileting, or medication. Arranging for community access, system navigation, and supports such as counseling, support groups, medical follow ups, and recreational activities. Providing sustained, regular advice, emotional support or decision making. The maximum tax credit available to primary care givers is $1,020 a year. The province of Manitoba offers many ways to ease the burden of living with a disability. There is no cost to applying so if you feel as though you may qualify there is no harm in sending in an application. The money you save could make your life easier and allow you to live more comfortably.